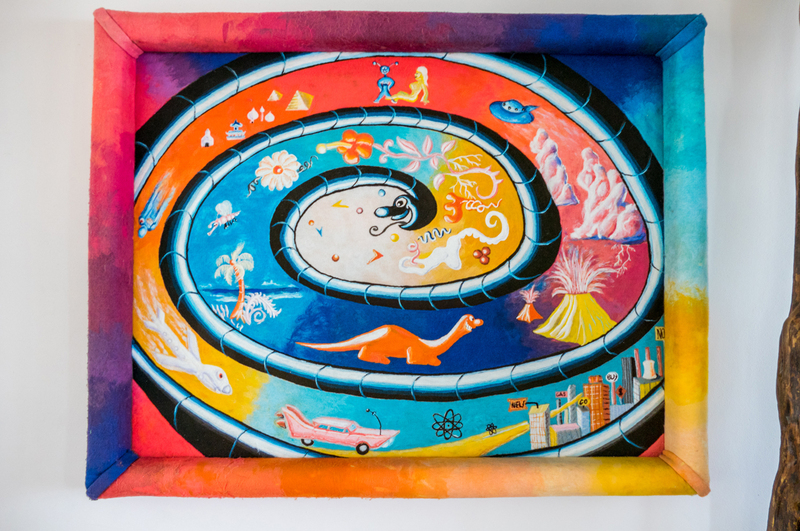 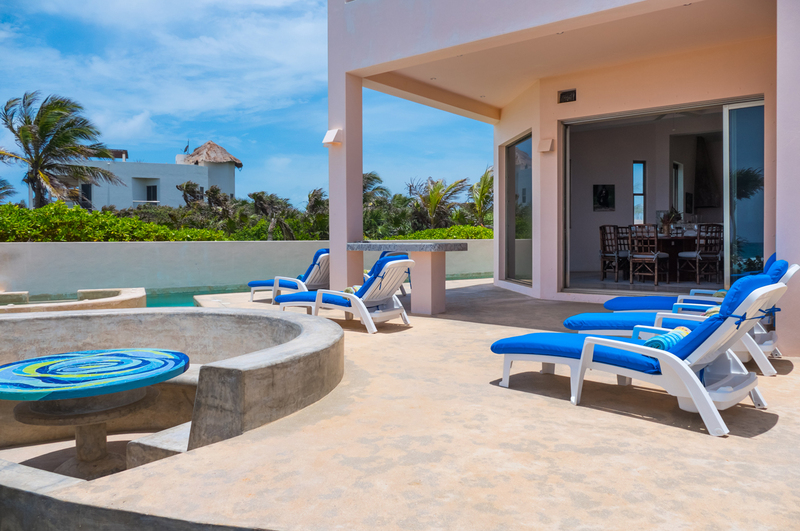 If a vacation fantasy is what you deserve, you will get it at Villa Fantasea. 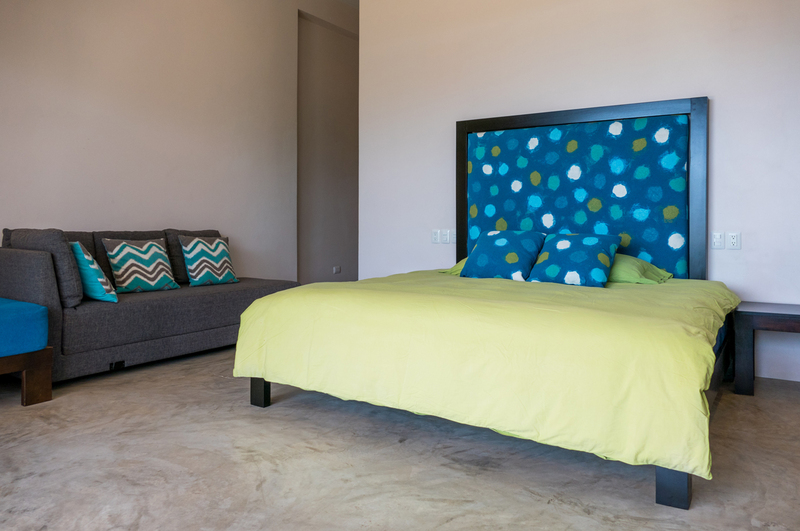 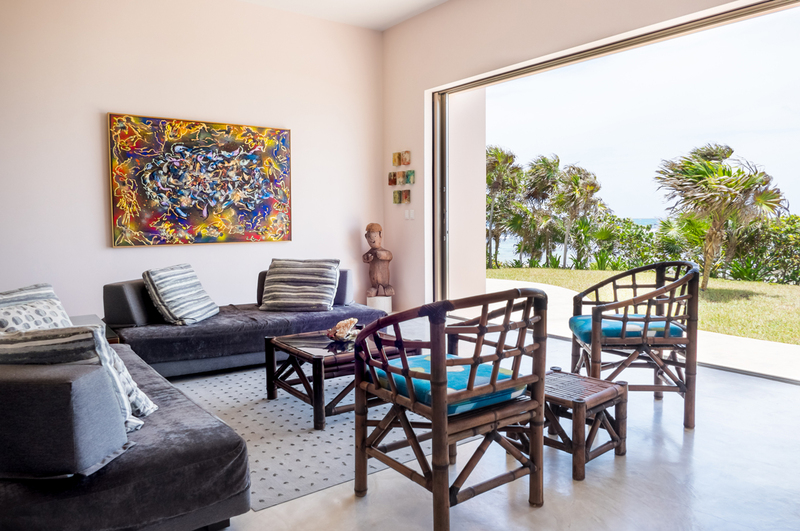 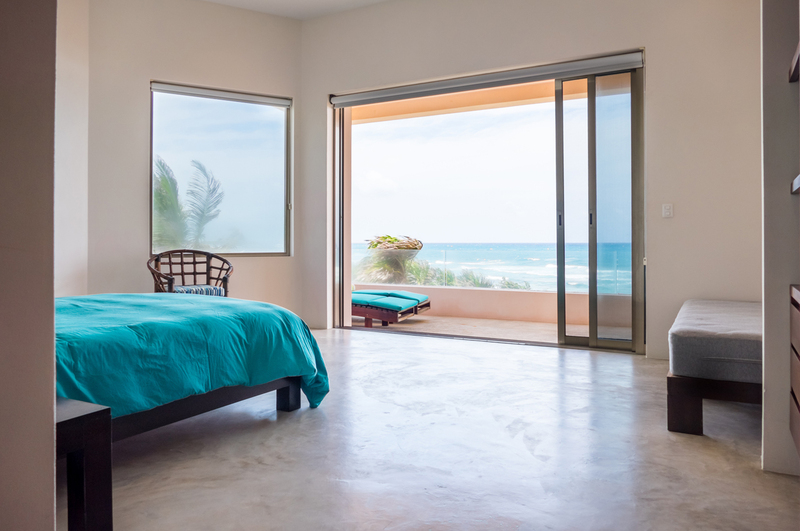 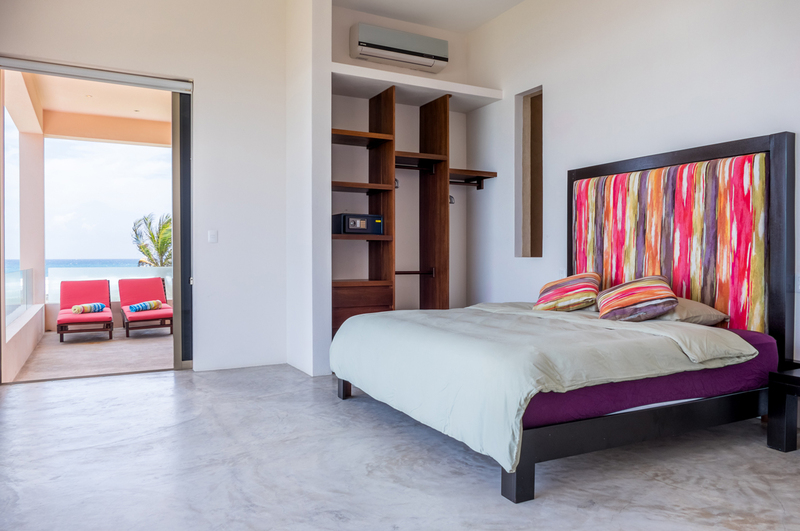 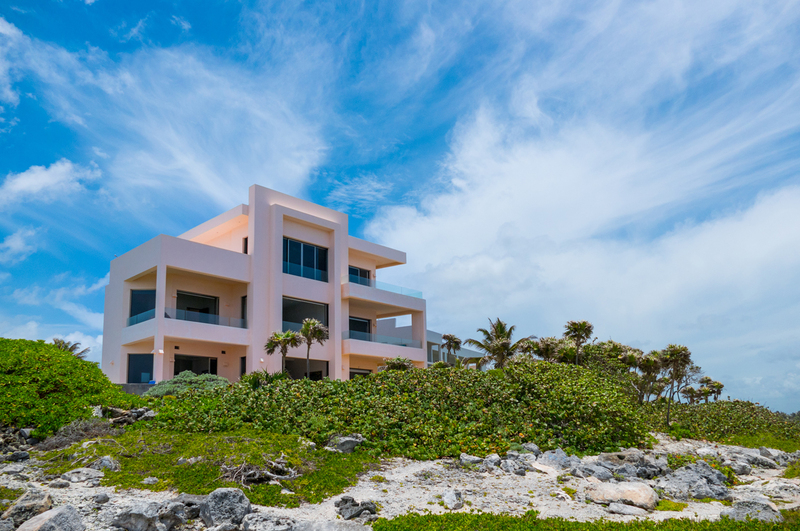 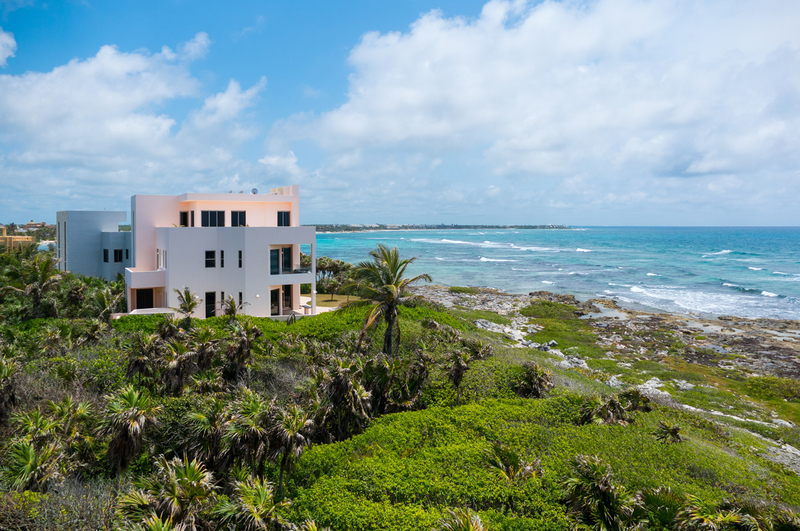 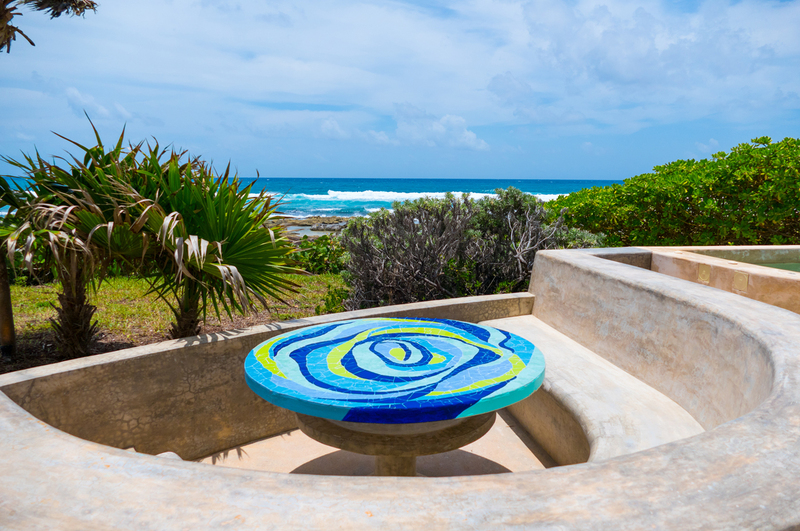 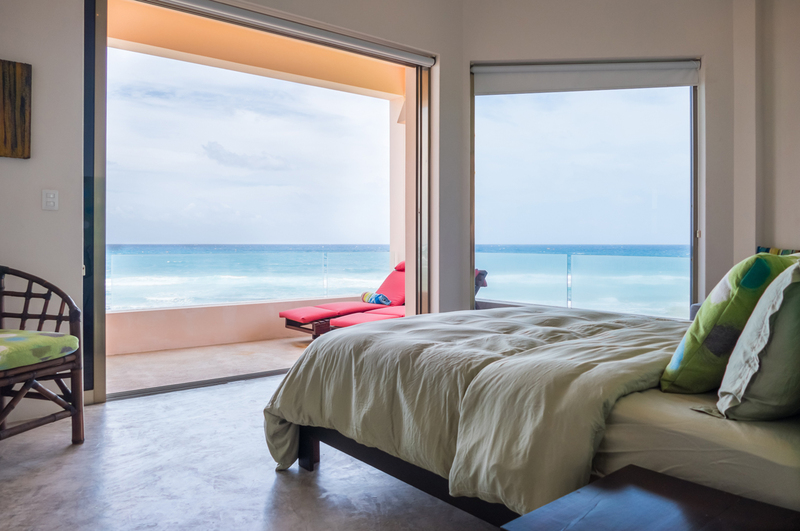 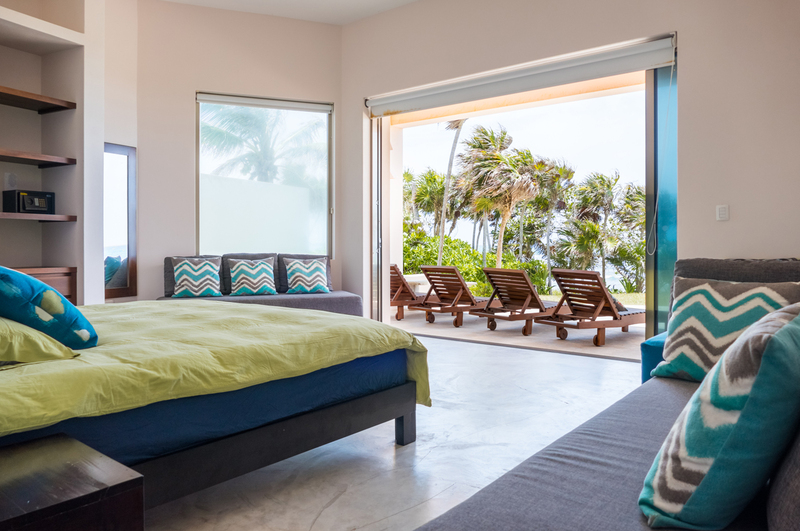 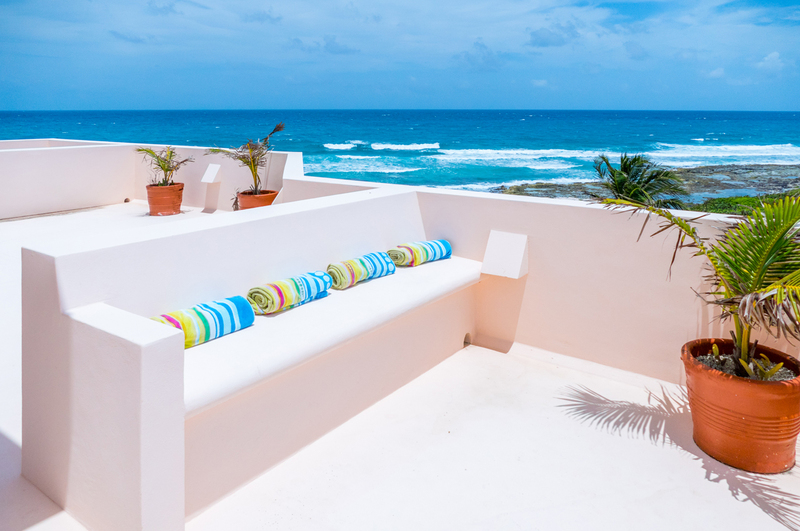 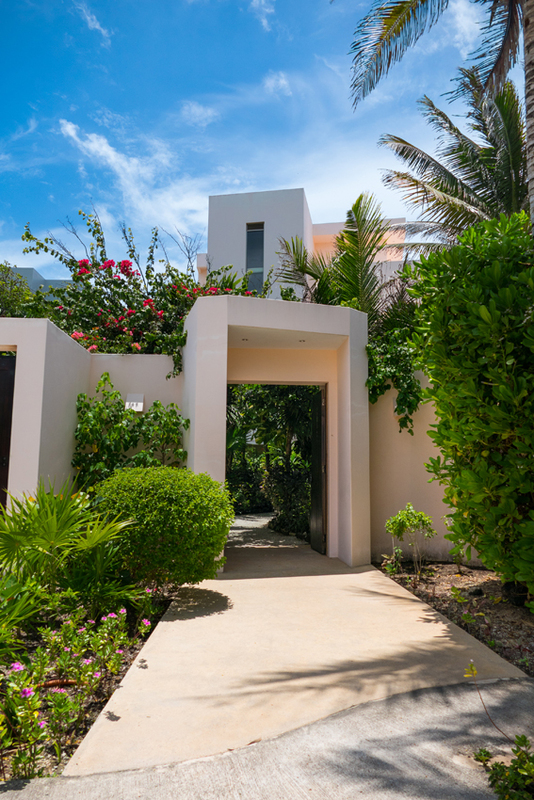 Located just 2 kilometers south of Akumal, Mexico, this lovely contemporary villa will be a great base for experiencing all there is to see and do along the Riviera Maya! 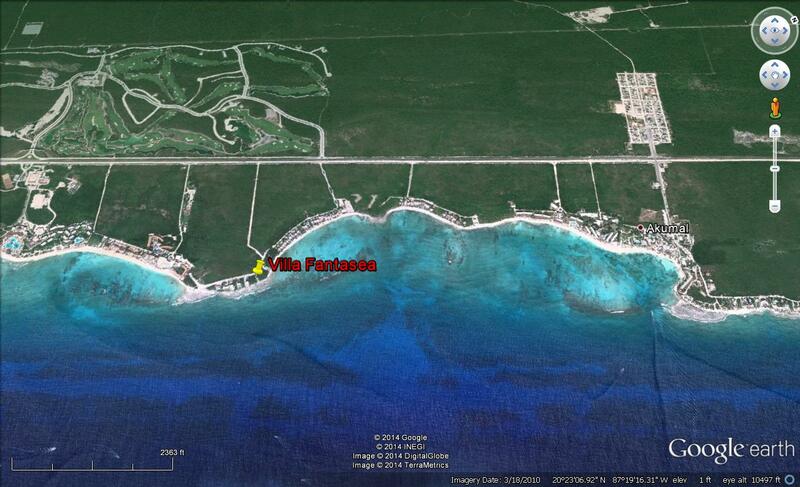 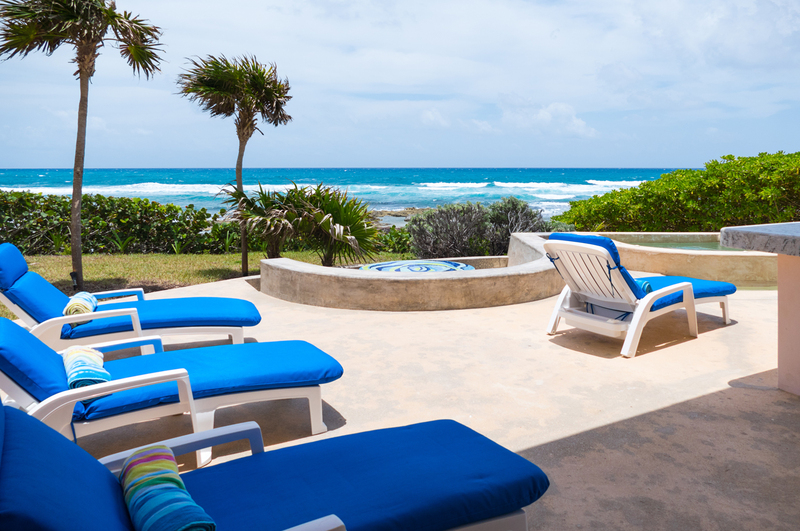 Villa Fantasea is 7 mins from Akumal, 20 mins to Tulum, 15 minutes from Puerto Aventuras and 30 mins to Playa del Carmen, by car! 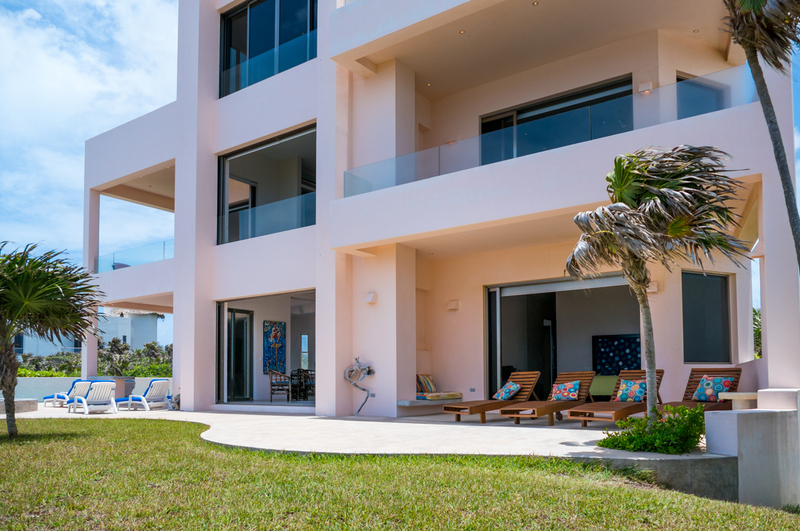 This 3 story modern newly built villa has it all. 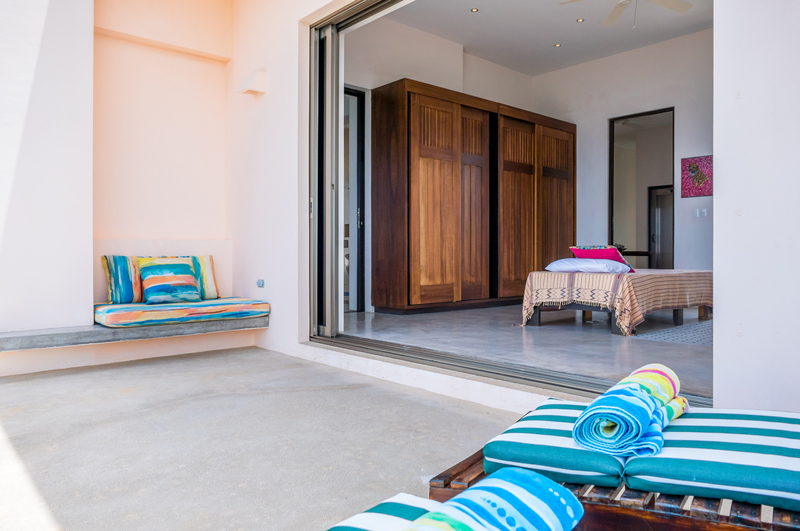 One of the only villas on the coast that can provide such access. 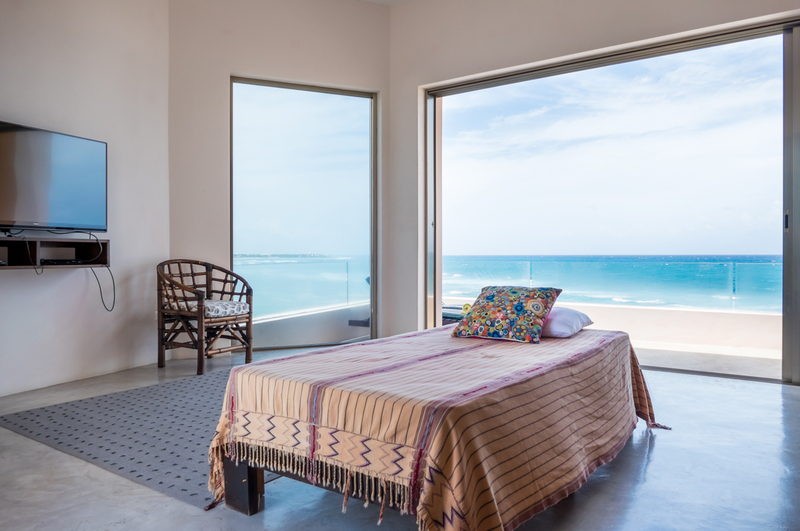 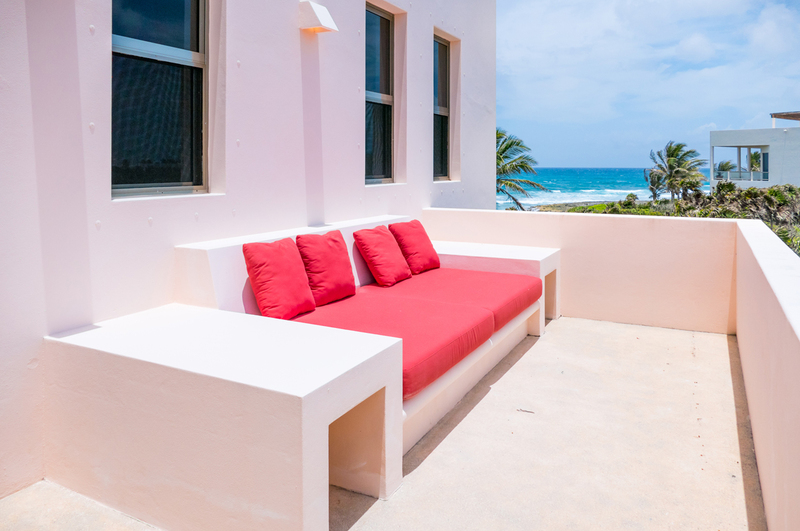 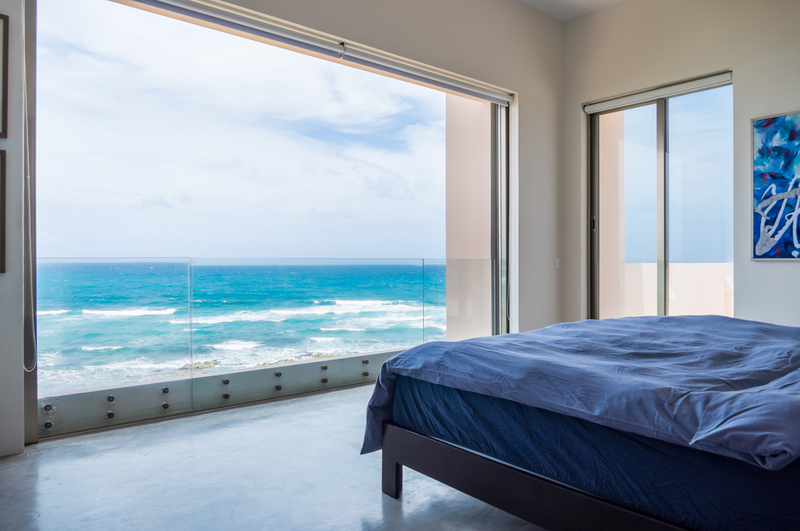 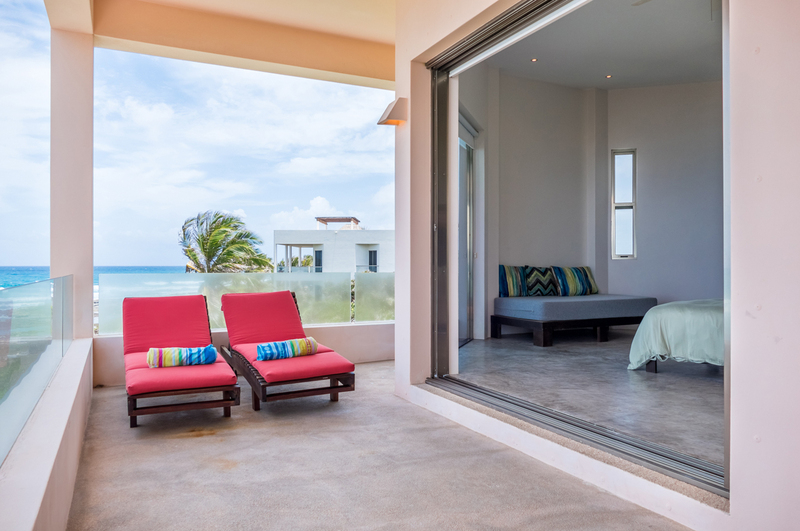 All 5 suites have ocean front views with large hideaway sliding glass doors, so you can hear the ocean and feel the breeze; or if you choose, sleep in silent air conditioned comfort. 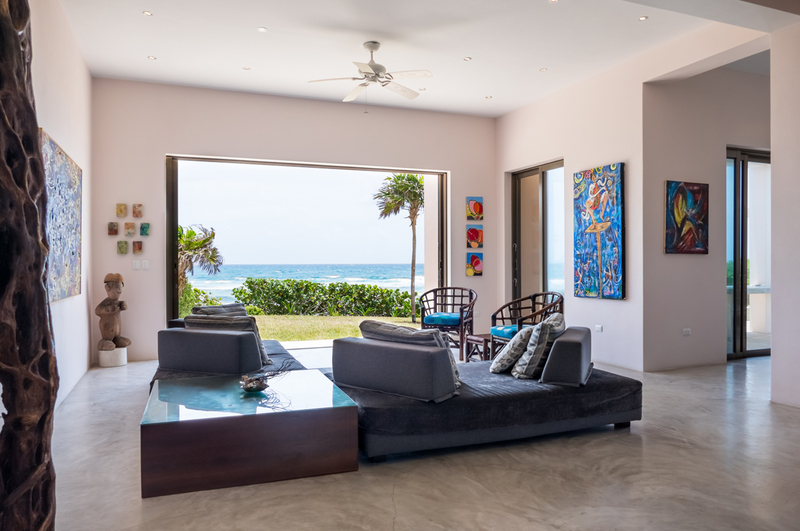 All throughout the house there are large bay windows with different views of the coastline. 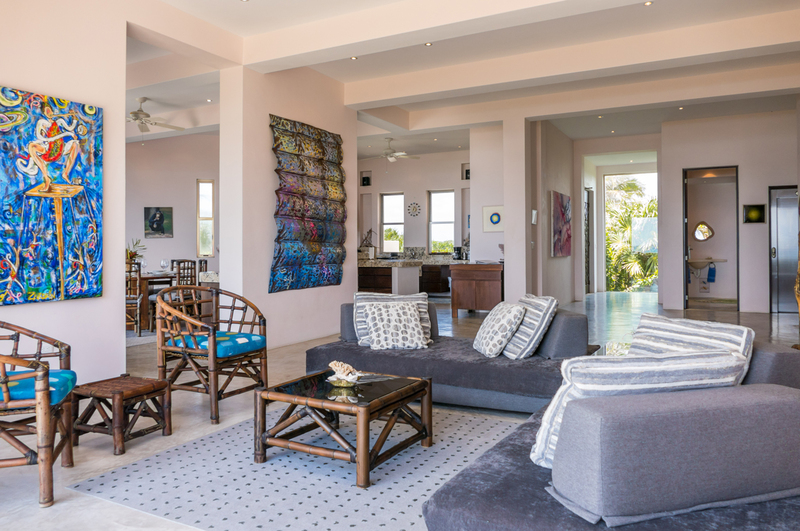 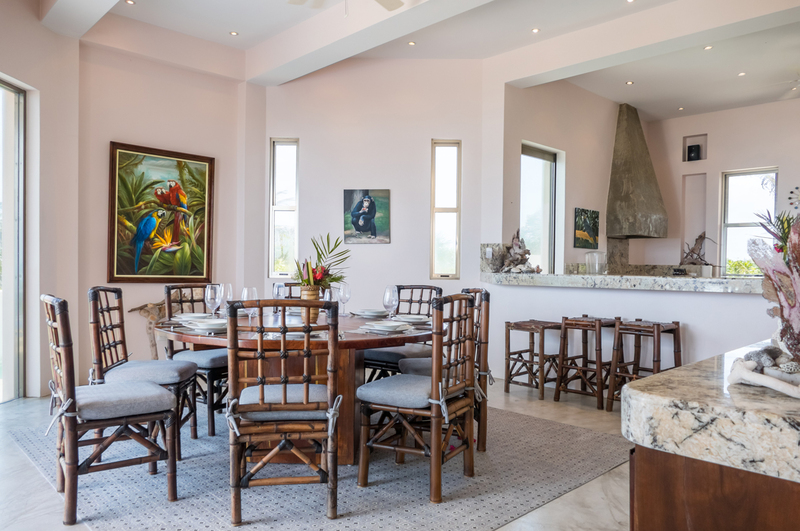 The first floor is the perfect place for all guests to gather and make plans for the day while lounging by the lap pool or in the open kitchen/dinning area. 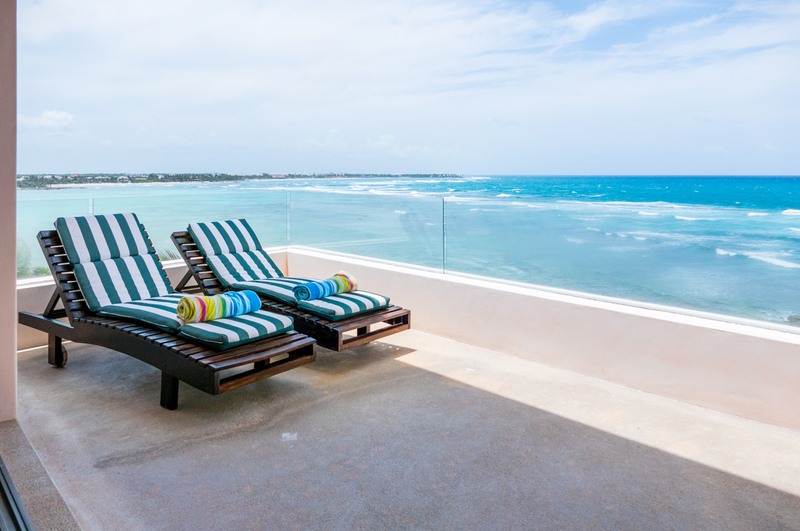 This floor has a King suite which opens on to the pool terrace with great views of the Caribbean. 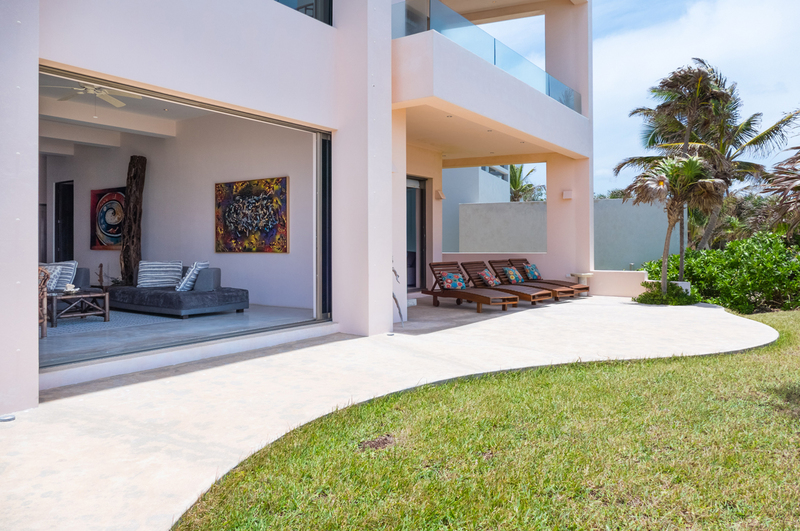 When it is time to head to bed, up to the second floor and either watch a movie in the spacious tv room or sit on the sofa on the back deck and watch the sun go down. 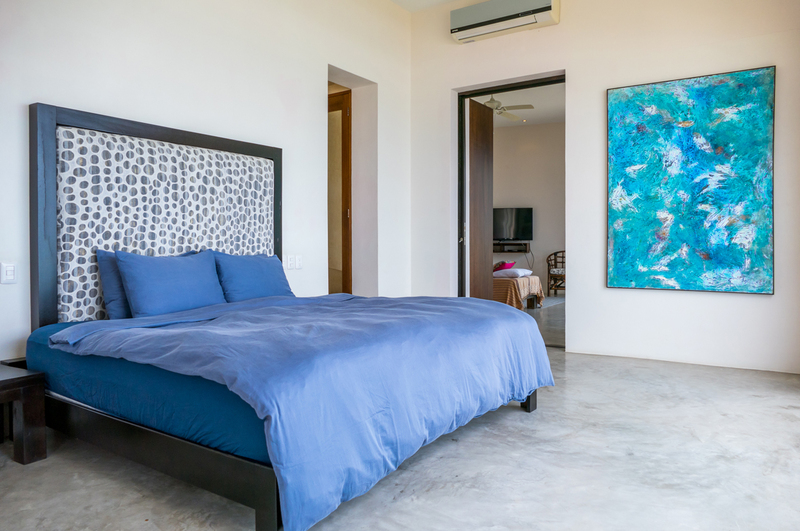 This floor has 1 king suite and 2 queen suites. 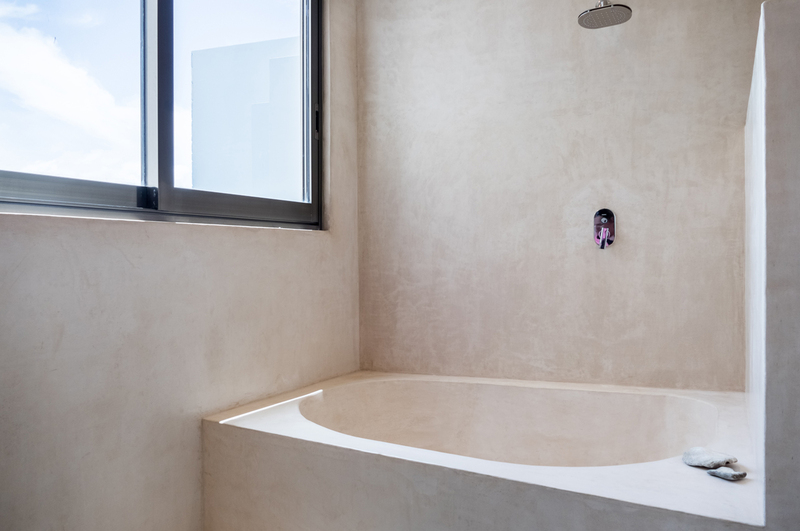 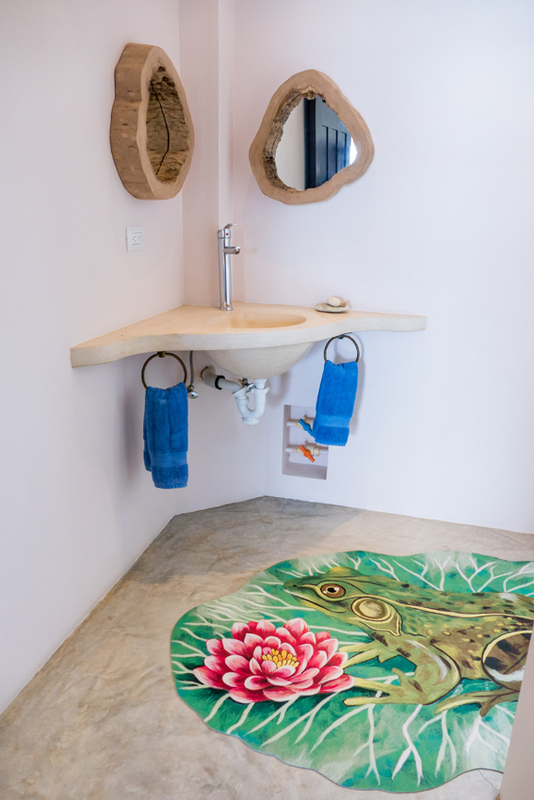 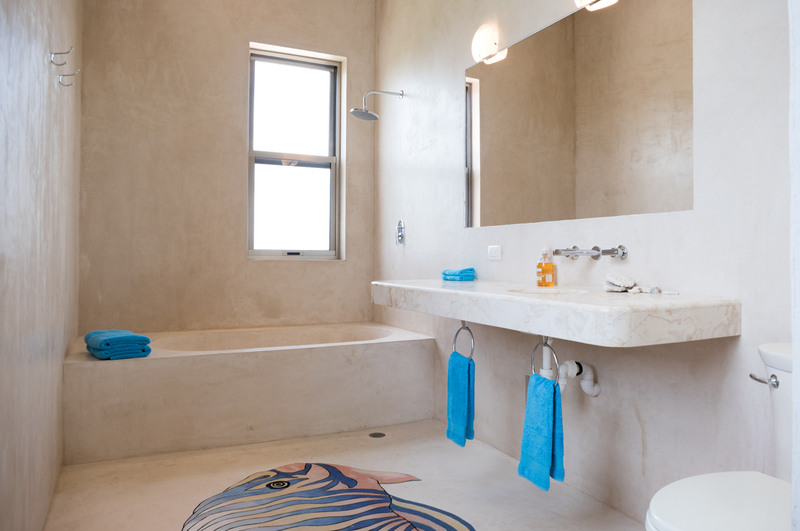 All rooms have rainfall showers and bathtubs to soak away the days sore muscles. 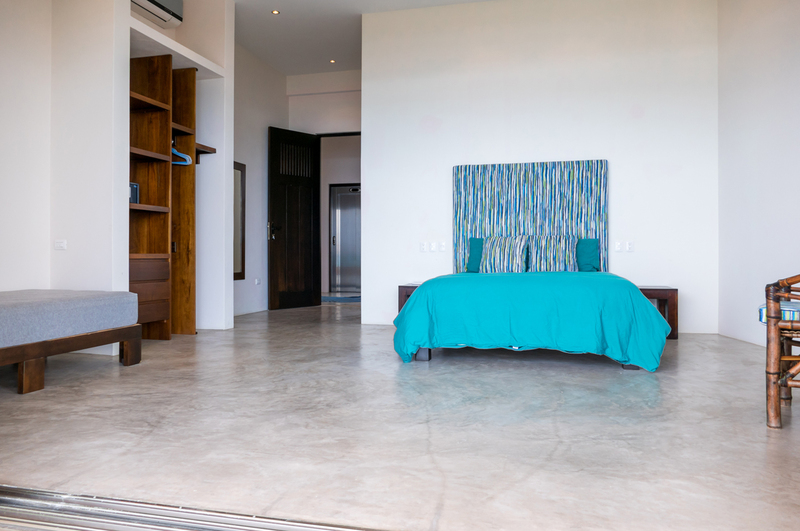 On the third floor you will find the master king suite and tv den as well as a small queen studio with terrace access to the master bathroom. 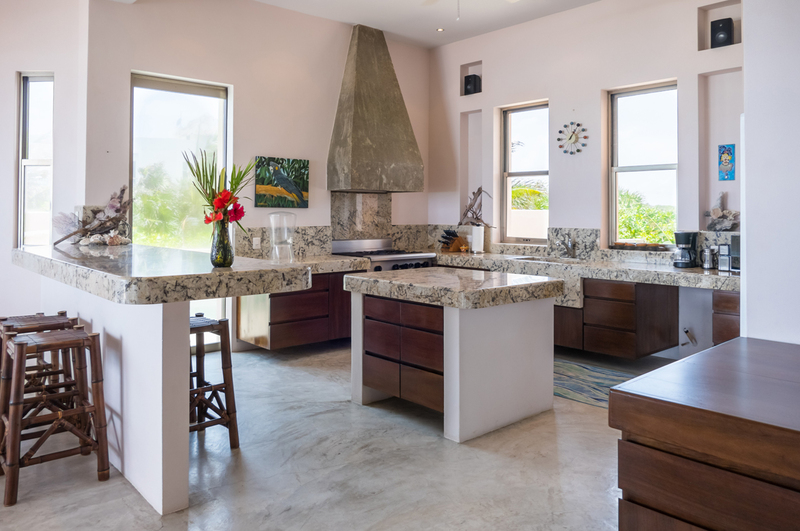 There is also a mini fridge in a small kitchen nook for food, coffee and drinks preventing you from having to go down to the main kitchen on the first floor. 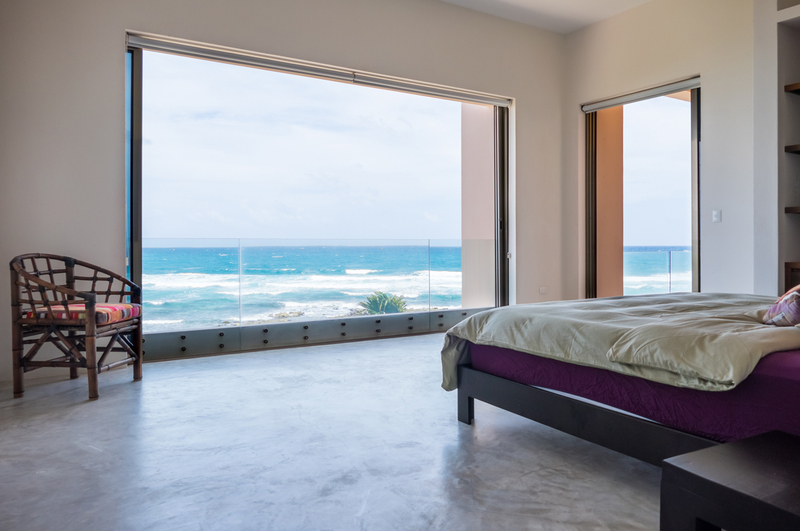 The top floor has a huge deck off the master bedroom with incredible views of the ocean and jungle. 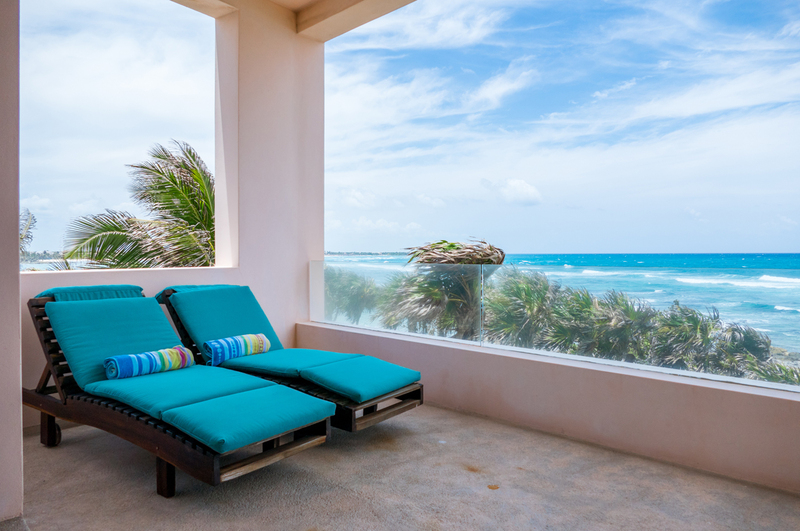 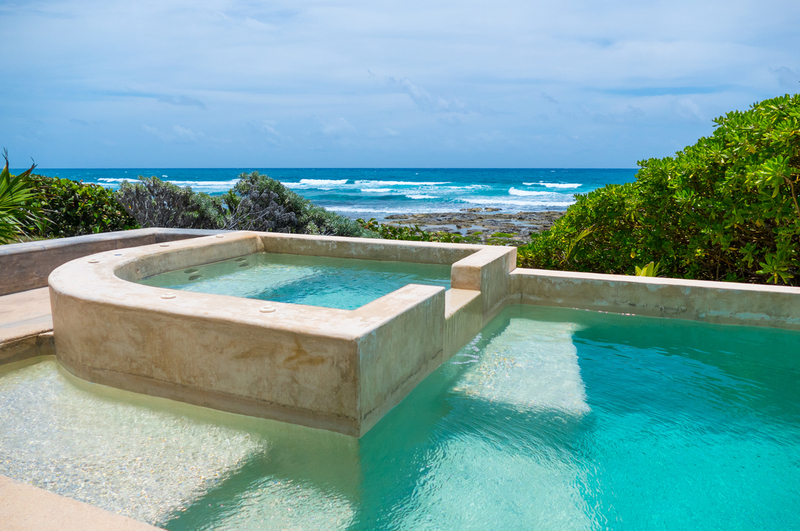 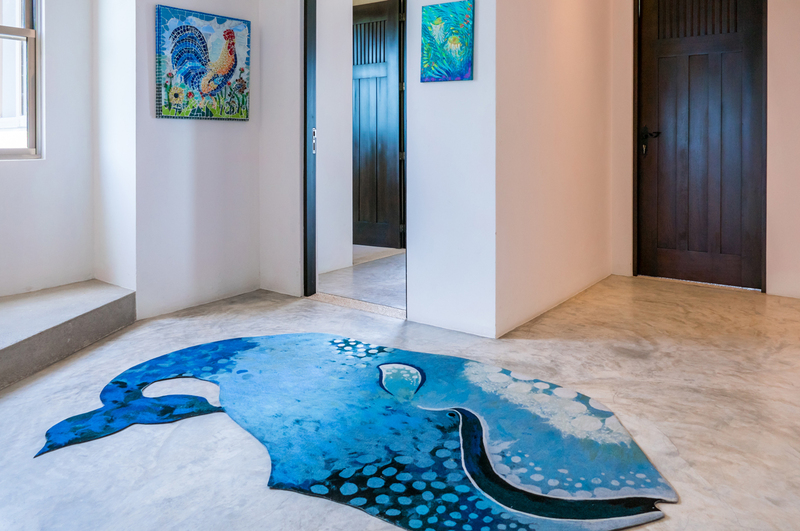 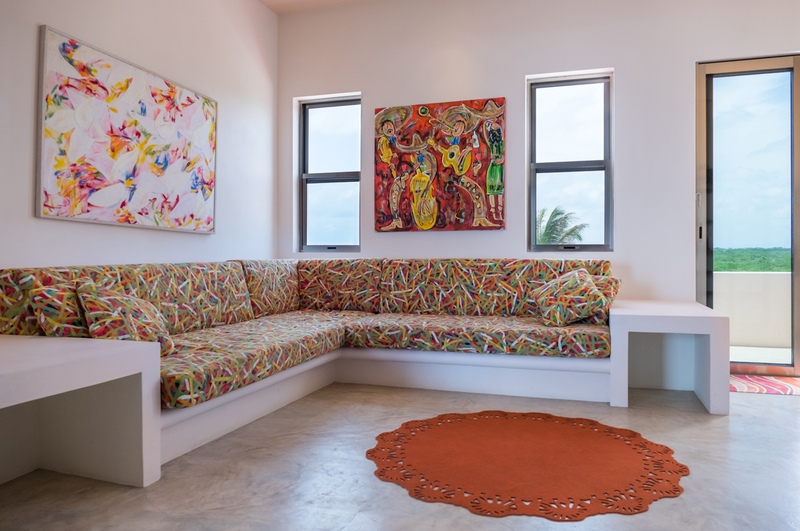 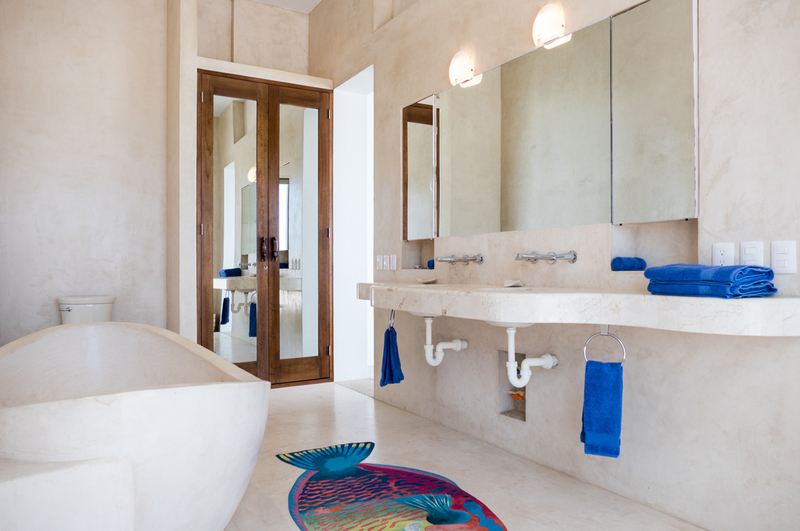 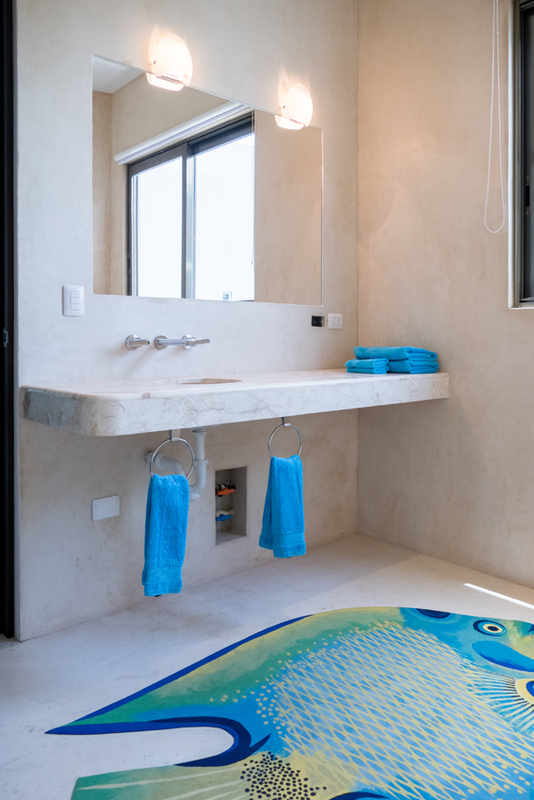 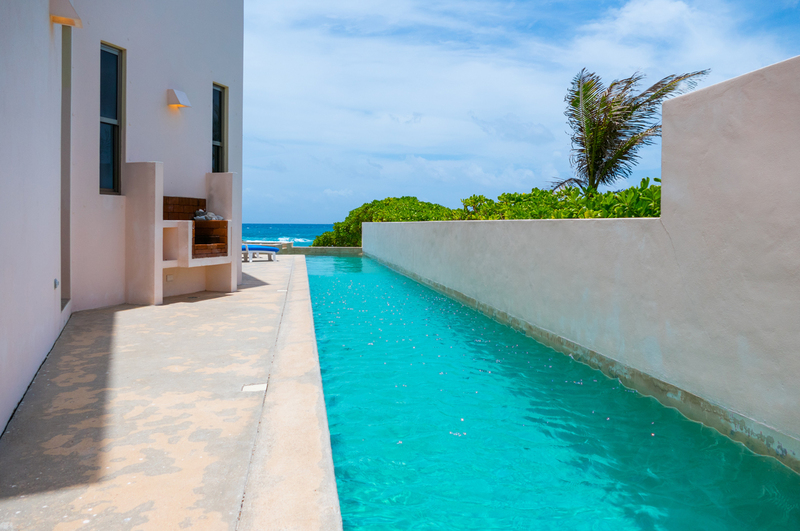 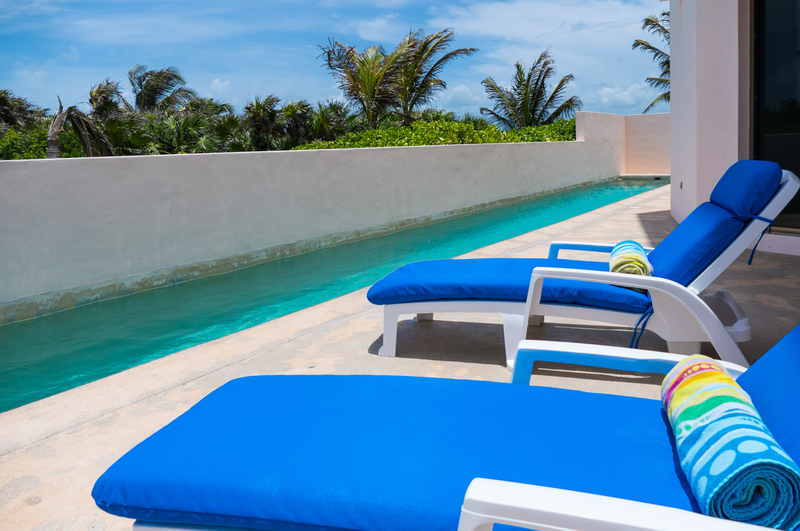 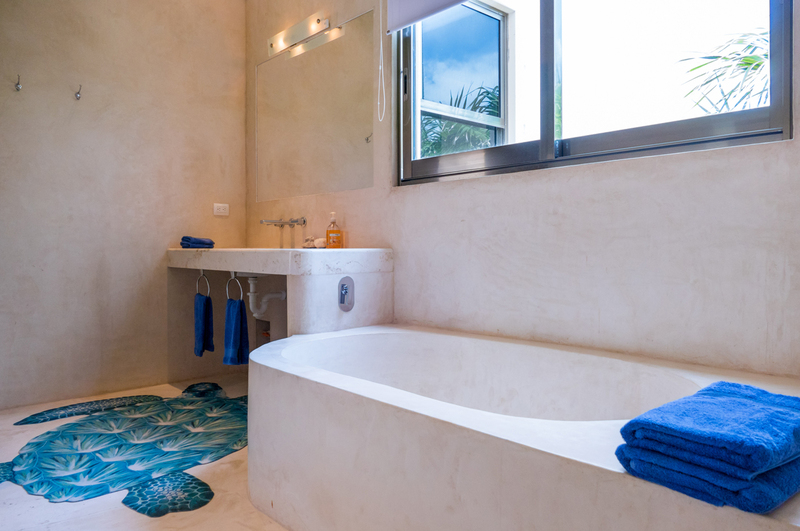 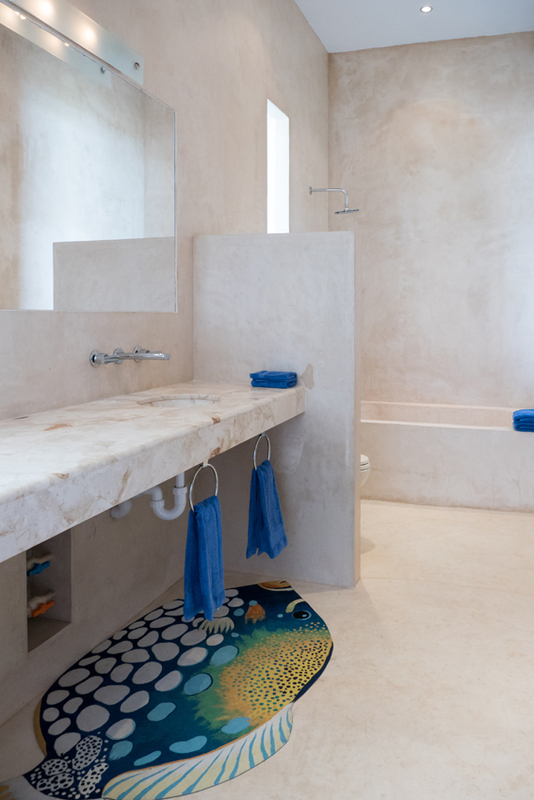 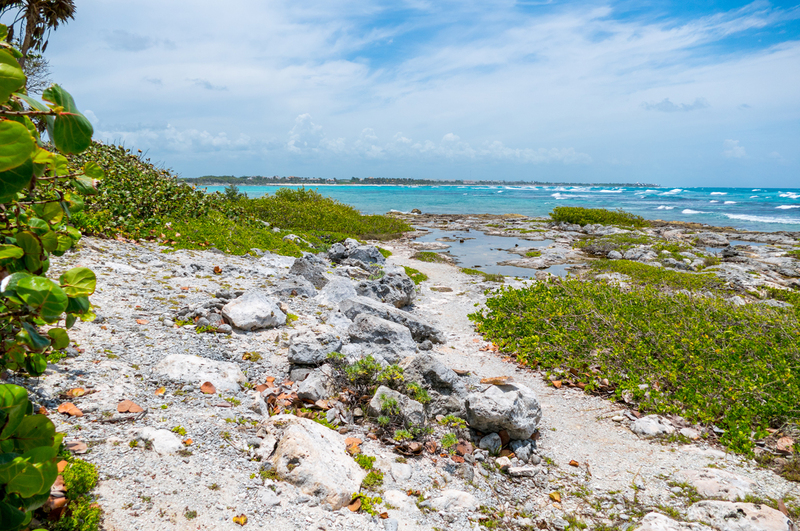 This newly built luxury villa has it all, a real Fantasea vacation spot on the Riviera Maya! 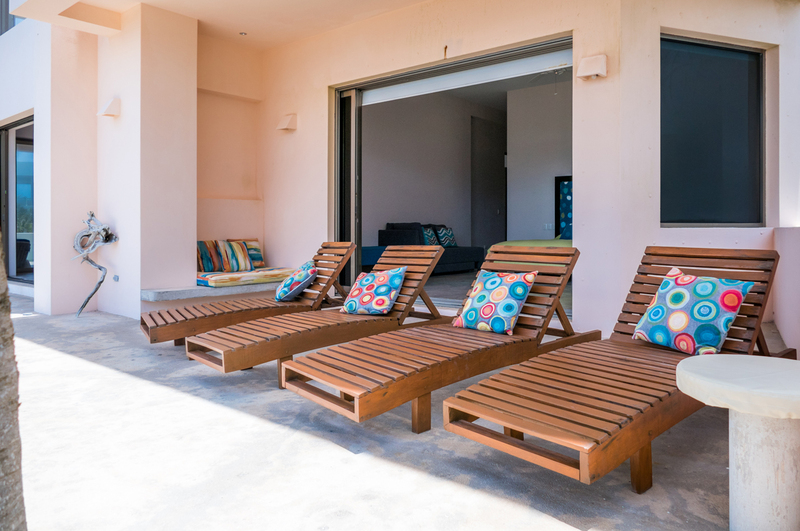 Crib and high chair available on request. 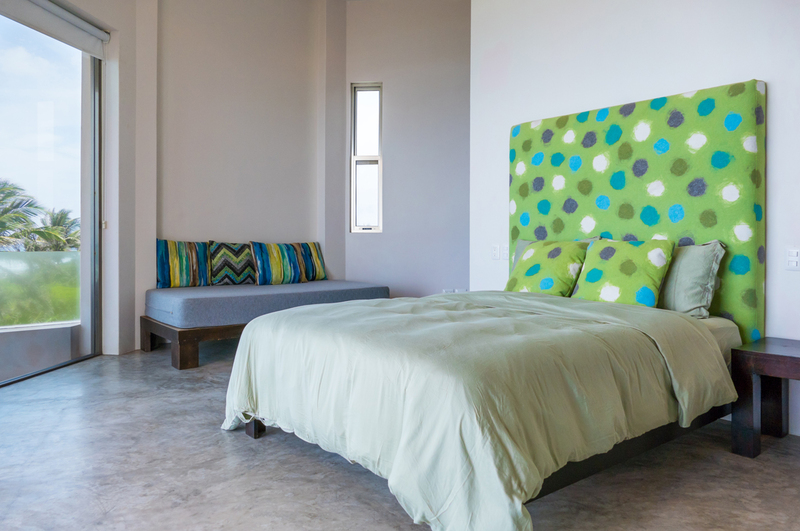 Maximum occupancy is 12 adults and 3 children add $500/week for each adult and $250/week for children 9 and under. 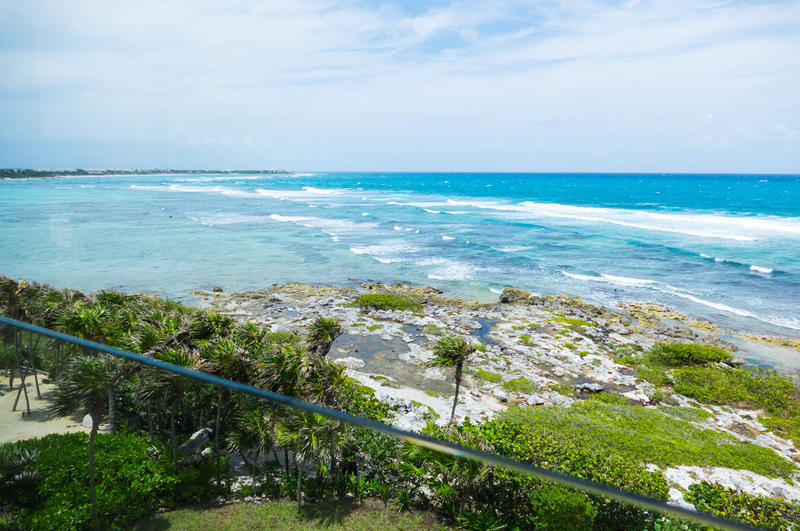 NOTE: CHEF PACKAGE FOR HOLIDAYS (DEC 16, 2107 - JAN 6, 2018). 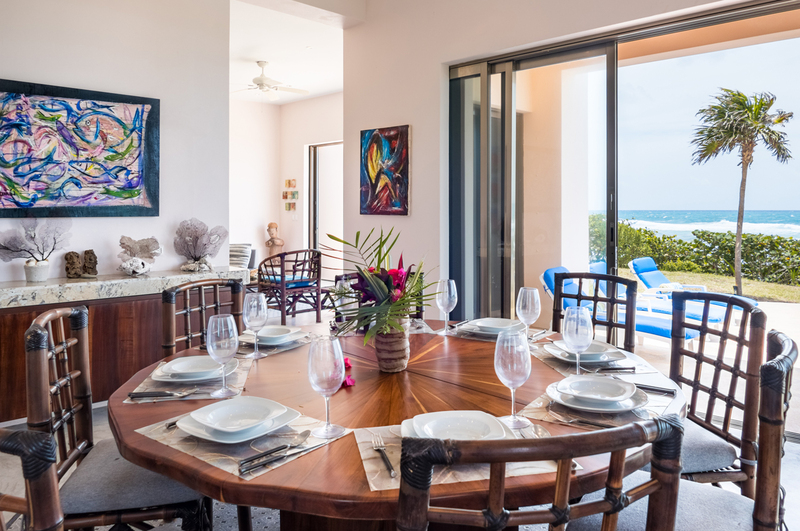 PLEASE INQUIRE FOR AVAILABILITY AND PRICES Special 4 bedroom rate: NOTE: Reservations for the special base rate of 8 guests or less will only have access to the first floor suite and the 3 suites on the second floor. 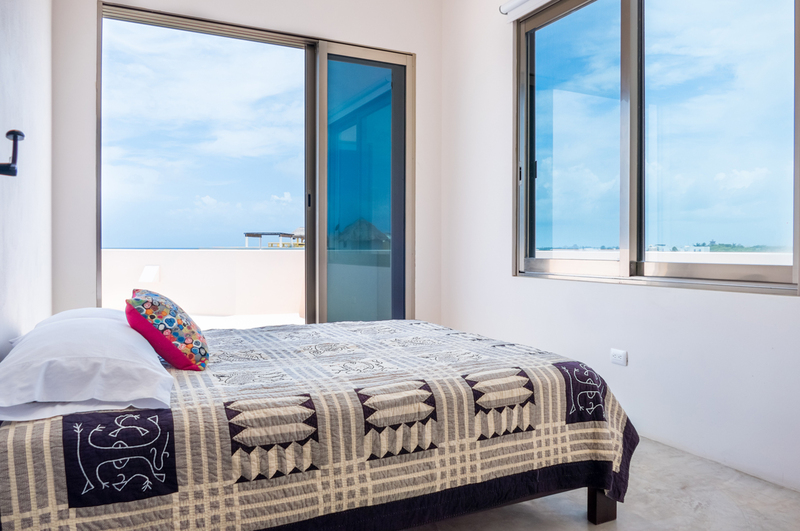 The 3 floor rooms will not be available unless the additional guests above the base rate of 8 are paid in full. 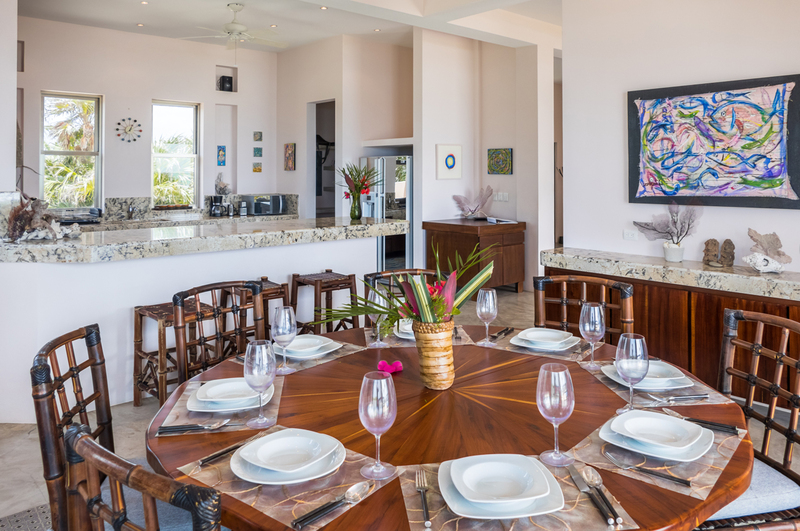 For Thanksgiving, Presidents week & Easter the rate is $6000 usd/ week up to 12 people. 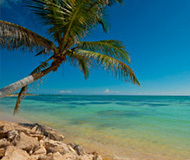 **Holidays $14,000 usd per week is up to 12 people.